Have a question for DDD Habitat Pension House? 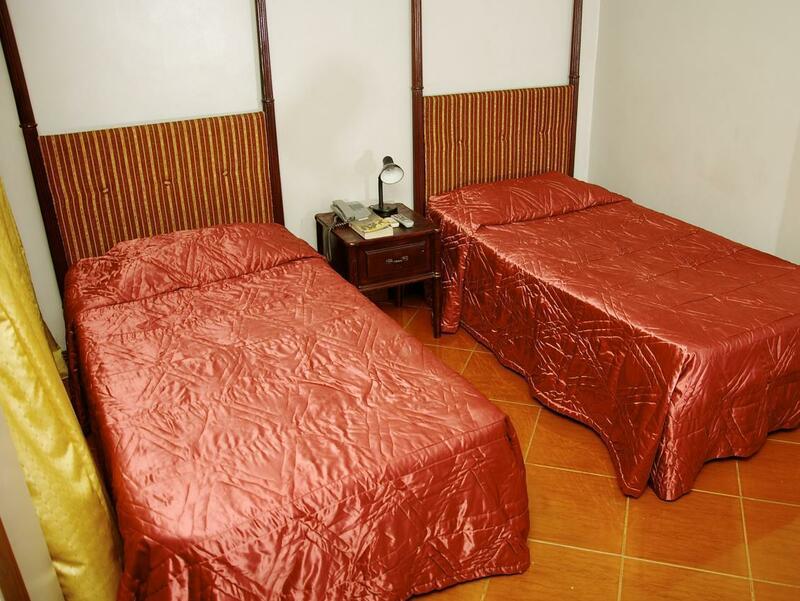 Well-positioned in West Cagayan De Oro, DDD Habitat Pension House is the ideal point of departure for your excursions in Cagayan De Oro. Situated only from the city center, guests are well located to enjoy the town's attractions and activities. With its convenient location, the hotel offers easy access to the city's must-see destinations. At DDD Habitat Pension House, the excellent service and superior facilities make for an unforgettable stay. For the comfort and convenience of guests, the hotel offers free Wi-Fi in all rooms, 24-hour front desk, luggage storage, Wi-Fi in public areas, car park. 11 rooms spread over floors provide a warm and pleasant home away from home. Modern comforts such as internet access – wireless, internet access – wireless (complimentary), non smoking rooms, air conditioning, wake-up service can be found in selected rooms. The hotel offers many unique recreational opportunities such as massage. Discover an engaging blend of professional service and a wide array of features at DDD Habitat Pension House. old, bathroom decrepit, only 1 room with working water heater, mouldy bathroom tile grout, decent size room and clothes closet and desk space for laptop. WiFi slow. OK for slumming it. Just a standard place. Good for overnight stay. Not close to anything. its ok. but they will not serve the breakfast before 7 am. The hotel is accessible to public transport, centrally located to significant areas in the city, and whose staff is accommodating. The hotel provided the basic needs of our stay. It offers free daily breakfast (7-10am)although with the same options(luncheon meat, longganisa, corned beef, etc.--served with rice and egg). Early check in (6am to be exact)wasn't a problem especially if you've indicated it in your booking form. Wifi was fast although it was only available in their lobby. The lobby was small, with only 2 seats so I could imagine if all of their rooms are occupied. It wasn't a problem for us though because we'd rather rest in our room than standby there after a day's activity. The staff and guard were all friendly, respectful, and attentive to our needs. Except for the noise outside every morning, which I suspect came from the neighboring residence, sleeping at night was turned peaceful and hassle-free. Overall, I could only think of minor issues but the hotel so far met my average requirements for a budget hotel. Convenient to CBD of Cagayan De Oro banks and shopping malls - also close to colleges and training venues. Wifi was bit slow but okay. Only problem that needs fixing is plumbing in shower toilet recess. Water does not drain properly causing wet floors and risks of slipping and accidents. Convenient to CDO shops & malls, banks nearby. Wifi was slow but okay. Others that needs fixing is drainage in shower recess & toilet. I've enjoying staying at hotel but I'm quite disappointed of some of the staff, because I was requesting for a cup for the hot choco, he replied me to used the water glass. But in all I was satisfied. Nice and clean room. Breakfast was served on time. Aircon was not working well, its still hot. Not that clean toilet and bath, rough towels and sturdy bed. Very accessible to all points in CDO. It's a walking distance to Divisoria. The staff are very friendly. I love the local feel of the place. You feel immediately right at home here. Nothing opulent; just the basic comforts. Cet hôtel est très bien situé (15 minutes à pieds du centre ville). Le personnel est à votre service pour vous renseigner sur toutes vos demandes (restaurants du secteur, activités, appel de taxi...). Il n'y a pas d'espace commun mais, les petits déjeuners sont servis dans les chambres à l'heure demandée.